Mike Ragogna: Joe, how are you? 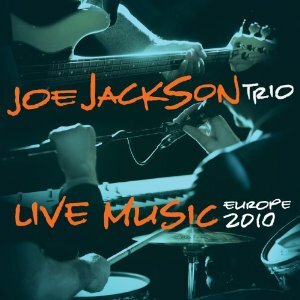 Joe Jackson: Doing well Mike, thanks. MR: Live Music is your sixth live album, isn't it? MR: You like performing, don't you, Joe. JJ: Yeah, I do. I think it's the best part of this madness that I'm involved in. It's better than being in the studio or anything else I think. MR: And you're constantly playing out. JJ: Lately, it seems. The last few years I have been touring every year. MR: This particular album is a culmination of recordings from your tour in 2010, right? MR: And for this tour, you went out as the Joe Jackson Trio with Graham Maby on bass, Dave Houghton on drums. JJ: Yeah, great guys, I enjoyed that. MR: You're also popping up on TV, recently appearing with The Roots on Late Night with Jimmy Fallon. What was that like? JJ: That was very cool, actually. I really enjoyed playing with them, and I think a lot of other people enjoyed it too. It was a treat. MR: On this new album, you have quite a few tracks from your catalog, including "Got The Time," which was covered by Anthrax, right? MR: (laughs) That's true. Going through this tracklist, you also perform your song "Steppin' Out" that also appeared in a little game called Grand Theft Auto. MR: Have you taken a peek to see how it's used in the game? MR: (laughs) Now, this project was recorded live with no overdubs or fixes. Does that add any extra pressure to you during a show knowing that each of the tracks may wind up on the album untouched? JJ: I don't really think about it too much. But that's one thing that's really great about the technology that we have available now because we were able to record the entire tour. I mean, in the not too distant past, you'd have to hire a big expensive recording studio in a truck to come out and record the shows if you were lucky enough to be able to afford it. But in this case, our sound guy was able to record every show on the tour just by bringing along a couple of extra microphones and a hard drive or two. So, I think we were very fortunate in having a lot of material to choose from. MR: I can imagine that would be great because your set lists has to change fairly regularly, right? JJ: They do change quite a bit. We don't do the same songs every night. We don't even do the same songs the same way every night. But there were certain songs that we played a lot because I was thinking all along that I might want to use them for a live record. For the most part, the album came down to choosing between the handful of versions of each song. MR: Did you also do any video recording of any of your performances? MR: You performed many originals on this tour, but you also did some pretty great covers. How did you choose those songs, for instance, what made you choose The Beatles' "Girl"? JJ: Well, choosing covers for me is all about whether I think that I can bring something different to the song and put a new slant on it. I can't think of anything more pointless than doing a cover version and just trying to imitate the original. So, there's really two things involved--the first is that the song has to inspire me in a way that I think I can do the song in a different way, and the other thing is that it has to fit me vocally. I'm not the most confident singer in the world, it's the hardest thing for me out of everything I do. I'm better at it than I used to be, I think, but it's only every now and again that a song comes up that I feel I can sing in a convincing way. MR: Joe, you've got a terrific voice, what are you talking about? MR: I also love your cover of David Bowie's "Scary Monsters," possibly even more than the original. What inspired you to change the arrangement in the way you did? JJ: I don't know if I can really explain it. A lot of it came from trying to use a trio to our advantage, using the bare minimum and making it sound as varied and interesting and big as we can. I just try to go about that in different ways and always try new things. MR: Have some of these covers been in your head for some time, like maybe your version of Ian Dury's "Inbetweenies"? JJ: Yeah, I'm a huge fan of Ian Dury. He was not an artist that gets covered very much. Actually, that was my drummer's suggestion to do that song, and it works very nicely. I actually got an email from (Ian's) band The Blockheads. They're still trying to keep going, which I think they find difficult because as great a band as they are, it's really hard to keep going when the leader of the band dies. MR: Right. Now, once you've chosen a song to cover or even when you shake up your originals, do you get together with Dave and Graham and figure out arrangements together? Does everyone have some idea of how the arrangement should sound? JJ: It's a little less democratic than that. (laughs) The arrangements are pretty much mine. Of course, these guys do make a huge contribution. But primarily, the arrangements come from me. MR: Having played together for so long, is it easy for you guys to play and anticipate each other's musical inclinations? JJ: Yeah, of course, and even though I say that I'm the arranger, a large part of the decision and creative process comes fom knowing these guys and knowing what their strengths are musically and giving them parts that I think are going to suit them, so they really do make a very big contribution. MR: On another topic, you are also the author of A Cure For Gravity. MR: One of the things that I find great about this book is that you start from your childhood and take us through your mid-twenties before you became a pop star. Actually, you find that period less interesting, right? JJ: Yeah, I ended it around the time that I was making the first album. I really did feel that a lot of the stuff that came before that musically was much weirder and funnier and more quirky and unusual, that's what I wanted to write about. But I also wanted to write about music, and I used the structure and framework of a memoir as a way of writing about music. It's sort of two books in one. MR: It was a very nice approach. I've never seen it done that way before. MR: Speaking of things I've never seen before, lets talk about your wonderful duet with William Shatner, "Common People." Can you tell us a little bit about how that came about? JJ: That came through Ben Folds, who's a big fan of mine. You'd have to ask him how he got hooked up with Bill Shatner, I don't remember. But I think he did a really great job of putting an album behind Shatner that is fun and not completely cheesy, though when it is too cheesy, it's deliberately so. (laughs) It's just a very musically satisfying record, and when he asked me to be a part of it, why would I not? How could I refuse? I went to Nashville for a few days and hung out with the two of them, and we created a couple of masterpieces. MR: (laughs) I also want to talk about another wonderful duet you did with Suzanne Vega called "Left Of Center." How did that come about? JJ: Wow, you're going way back. (laughs) You know, that was a long time ago and I honestly don't remember. MR: Is there a chance that there's going to be a Live Music Vol. 2? JJ: You never know. Right now, I'm taking a break from touring and I'm working on my next project. But there's always a possibility of more live stuff because I don't ever plan on giving up playing live. It's the most fun you can have. MR: Of course, and your next project is a Duke Ellington Tribute, right? JJ: Yeah. It's a, sort of, reinvention of the music of Duke Ellington. We're just doing very different arrangements with using very different sounds and very different grooves from what Ellington did. I'm very excited about it. There are lots of really great people on board, and most of it is already recorded. So, I'm really looking forward to finishing that later this year. There are a couple of people on the album that you would definitely know, but I'm not going to mention them until their parts are actually recorded. (laughs) But so far, we have Ahmir aka Questlove from The Roots playing, Christian McBride, an amazing bass player, Regina Carter on violin, and Steve Vai is playing guitar on a couple of tracks. We have some really great people. I did want to make sure that I wasn't producing something that sounds like watered down Ellington, you know? I'm trying to put a completely different slant on the cover versions. I don't see any point in imitating anyone. But Ellington's compositions are so strong that I think they're amenable to different interpretations. In fact, that's what he did for decades--rearranged and reinterpreted his own music. So, I took this inspiration from the man himself. MR: Nice. I'm a very big fan of your work and always have been. It comes very naturally to you, doesn't it. MR: (laughs) Okay, what advice do you have for new artists? 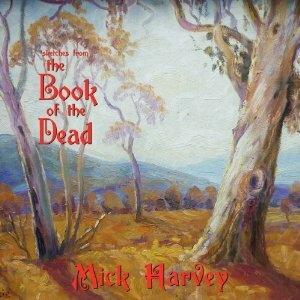 Mick Harvey's "The Ballad Of Jay Givens"
Mick Harvey--also known for his work with The Birthday Party and Nick Cave And The Bad Seeds--has a new video in support of his album Sketches From The Book Of The Dead. It's Harvey's first album of all original material, and the 11-track project on which he plays most of the instruments was recorded and mixed with David McCluney at Atlantis Sound, Port Melbourne, with additional recording at his own Grace Lane. Rosie Westbrook appears on double bass, J.P. Shilo on accordion and violin, and Xanthe Waite sings background vocals. 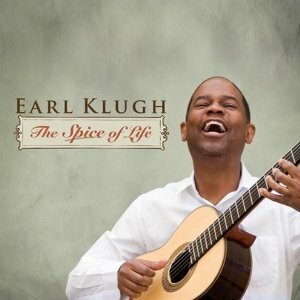 Earl Klugh: Hi, how are you doing? MR: I'm well, and you, sir? MR: Earl, many feel you are one of the smoothest jazz guitarists of the 20th and 21st centuries. EK: (laughs) That tells the story--long time. MR: (laughs) But your first solo album only goes back to '76. MR: And you had an initial run on Blue Note, one of the EMI associated labels. EK: The first three albums were Blue Note and everything else was Capitol. MR: Over the years, you've been given a lot of critical acclaim, for instance, DownBeat magazine says that you are one of the greatest guitarists of all time. What do you think of that? MR: Nice. (laughs) Now, you've been nominated for many, many Grammys, and you've even won a couple. EK: I won very early on, with the first album I did with Bob James. MR: How many albums have you officially recorded with him? I ask it like that because you recorded together pretty often. EK: Actually, only three, but he's definitely been my most consistent partner over the years as far as doing records. We've done a lot of albums and a lot of touring together over the years. MR: You've also performed on soundtrack albums such as Just Between Friends. MR: How did that come about? EK: Actually, for Just Between Friends, I performed a soundtrack that was written by Patrick Williams. I struck up a friendship with him in the mid-'80s, and the first movie we ever worked together on was a movie called, Marvin & Tige, starring John Cassavetes and Billy Dee Williams. Then, I got the call a couple of years later to do the Just Between Friends movie with Ted Danson and Mary Tyler Moore. That's interesting work, it's different than what I was accustomed to. Back then, everything was live and, of course, these were pretty big budget movies, so they had the whole orchestra there laid out. Even though you're the one being featured, there are like fifty players there, and we're just doing takes on the fly, which is really interesting. For me, it's a challenging thing because you kind of feel like you have to go back and get the part perfectly. But in the films that I did, we'd do two or three takes on a piece and then it was on to the next thing, you know? It was loads of takes too, because at different times, you'd need different lengths. It was a great time and I really enjoyed that. MR: Now, before working with Patrick, you worked with Hubert Laws on How To Beat The High Cost Of Living in '80. MR: Was that a similar experience. EK: I met him years ago during the CTI days, and we still do stuff together. On my last album, The Spice Of Life, he came in from Los Angeles to do it with me in New York. Hubert and I have a great relationship. MR: How did you choose the material for that album? EK: A lot of it, I wrote myself, but I was looking for something that was a little bit different than all the records that have been coming out lately. I wanted something that would be a little more timeless because a lot of times, when you're making contemporary albums, your records get dated by certain sounds. I wanted to have something that would have a classic style sound--as much as you could in this day and age. MR: Naked Guitar took a unique direction as well. EK: Yeah, that was just me playing. I just think it's important to do all of the things you can do to the best of your ability. So, whenever I have a chance to do a solo album or I have a chance to do something that intrigues me musically, even though it may not be a big seller, I think it's important to do as much of that as you can. MR: Now, you also have the Earl Klugh Trio. Between the trio, your solo work, and the work you do with artists on side projects, what is your favorite environment to play in? EK: Gosh, I like it all. I really enjoy doing trio shows and that type of thing--I've done my fair share of those over the years. I've also still got an electric band, and right now, we have Nelson Rangell in the band--he's been working with us for the last few months. So, it's a lot of fun to have a good quintet thing going on. I think the next big thing we're doing in the U.S. is playing at the Blue Note in New York for a week. MR: I could learn about your musical influences, etc. based on your bio, but I'd love to hear it from you. Who are your favorite artists, and who influenced you? EK: Oh boy. Well, being a young kid when I first got serious about the guitar, that was about the first time I heard Chet Atkins on a television show. I remember seeing Wes Montgomery about the same time on The Merv Griffin Show, I believe. Those two things really influenced me. How I picked up jazz was a whole other thing, but I was playing finger style when I saw Chet, and he was playing finger style. Then, I saw Wes, and he was doing the jazz thing. Both of them were very strong influences of mine when I was growing up, that's for sure. I also studied piano when I was a young boy, and I remember when I was about fifteen, I heard some piano playing on the PBS station. It was just one guy playing piano, and it was Bill Evans, live at Montreux. I was listening to what he was doing, and I just started to put together all of these things at once because I really like the way Bill Evans constructed chords. Bill was an architect with all the shapes and colors you can make with a piano. So, those were my biggest influences as far as the jazz thing. Of course, growing up in Detroit with Motown, I actually worked on sessions and stuff at some of the studios. I was pretty much drawn in every different direction, but I did know what I wanted it to turn out to be. I was just very fortunate to have grown up in a time when there was so much great music going on. MR: You played on Motown sessions? EK: I did play on a couple of Motown sessions, but they were mainly demo type of sessions. I wasn't a front guy (laughs) at that time. MR: You might say you were standing in the shadows of Motown. MR: Would you say you based your compositional prowess on the way that people like Wes Montgomery and Bill Evans used to fly through their chords? EK: Yeah, quite a bit of that, and I was a big Burt Bacharach fan as far as writing. I started trying to write pretty much right from the beginning, and that was a big help because if you can create your own material, you have three quarters of the battle won. If you can play and you have your own relatively good music, you stand a good chance of having a pretty decent career. That was where I had my focus--just pick up all the influences I could. There's a club in Detroit called Baker's Keyboard Lounge and everybody would come through there. When I turned eighteen, I was able to go there with more regularity because I could take myself, and I met everybody from George Shearing, Chick Corea, Roland Kirk, and just about anybody who ever played there. I had a lot of exposure to a lot of that nightlife, and a lot of it seemed like fairly dangerous territory because for a lot of it--remember this is the '70s--there were some pretty serious drugs going on. I was just so freaked out by that, I never did anything more than aspirin. MR: Isn't it funny that the stereotype of jazz musicians is that they're on drugs and it's what they need to create. But lately, I feel like we hear about jazz musicians who are just naturally in that spot. MR: How do you work, creatively? Where does it come from? EK: It's just my likes and dislikes. I really am attracted to melodic music, so I would never be a Coltrane type or anything like that. During the course of my career, though, I've recorded with a lot of people who are a ways away from what I would do. I did an album with McCoy Tyner--a lot of people don't know about it--on Milestone, years ago, and it was a really nice album. I felt really honored to have that crossover with somebody of that magnitude and who's just a wonderful person. Over the years, I've played with a lot of guys just from going to clubs, sitting in, and that sort of thing. MR: You also had a very popular duet album, Collaboration, with George Benson, right? EK: Yeah, that was a lot of fun. That was like more of a reunion record because I worked in his band for about fifteen months. It was my first real professional gig, and it was great. MR: Do you remember when that was? MR: That album is smooth, but it's also about two guitarists with very distinctive styles. EK: Yeah, I think so. MR: When you were recording Collaboration, did you feel like you had to be careful to stay in your own zones? EK: Oh no. I had spent so much time playing with George that we kind of knew where we were going. It was fun because Marcus Miller was on the album, and he wrote a tune, and George wrote some music too. It was really a lot of fun because it was just a matter of going in, rehearsing some songs, and putting them down. We really had a great time doing that album. MR: Let's talk about the Blue Note years. Music changed a lot between '76 and the '80s when you went to Warner Bros. Did you find yourself sonically trying to catch the tiger's tail during that period? EK: No, not really. I was pretty much rolling by then. My records were all selling, and it was really a good thing. The thing about the label--my first three albums were with Dave Grusin and Larry Rosen, but after that, I decided I'd just try to do it myself, and I found I had a real knack for it. So, those first three albums were when I was kind of figuring out how things were done, and I took it on early. I was fortunate enough that the A&R people at Blue Note just let me do what I wanted to do. We were selling a good amount of records, so they were like, "If it ain't broken, don't fix it." MR: You're also known for putting together jazz weekends. MR: What are those like? EK: They're a lot of fun. It's like a resort for jazz enthusiasts. Over the years, we've had Chuck Mangione, Michael Franks, Roberta Flack, and just about anybody you can put your finger on. We've had a ton of acts over the years--this is our eighth year at The Broadmoor, in Colorado Springs. Last year, we started our weekend of jazz at Kiawah Island, so that's another one. It's just a three-day weekend, and we have multiple groups. The actual shows are Thursday, Friday and Saturday, but I spend a better part of ten days out there. They're pretty much my vacations because I get a chance to play with my band, and then play with everybody else. MR: To me, jazz seems to be experiencing a resurgence. Does is feel that way to you as well, or is that just wishful thinking? EK: I think, in a lot of ways, there is a resurgence, especially around the world. I'm home for the next couple of days, and then I'm going to Austria to play at the opera house, and Al Di Meola is going to be there with his band too, so it should be an interesting concert. MR: I recently spoke with Al, and he told me a great story about Paul Simon. It was about the Hearts And Bones album, the Simon & Garfunkel album from which Artie was removed. EK: Let me tell you another one--I was taken off too. MR: What? Jeez, that album has more mythology than Homer's Odyssey. You've got to tell me. EK: I had a one-day window to do this thing. We were actually on a bus tour. MR: Let me guess--the song was "Allergies," right? EK: Yeah. I got out to the thing, and I was sicker than a dog and couldn't make it work. I did get a chance to sit down and play with them, but I had a raging fever and I was contagious. MR: Another wacky puzzle piece. You know there are mixed down masters to that album, and someday, that thing has to see the light of day, you know? Anyway, let's get back to your Blue Note and Warner years. When you go out on the road, what are some of your favorite songs that you play from both of those periods? EK: That's kind of hard to say. I will say, Blue Note stuff like "Wind And The Sea," "Angelina," and some of those have lasted my entire career. Some of those were the first songs I ever wrote, so that's really cool. A lot of times, I think to myself, "The first stuff is better than a lot of the later stuff." MR: And it was during these years when you wrote and recorded the pop classic that George Benson had a hit with, "Living Inside Your Love." EK: That was one of my very early songs too. That song has a long life--other people have recorded it. I went to a movie one night and I heard that song in the background, but it was a rapper. I had never kept up with the rappers, but I thought, "I'd better check this out because I'm sure I've got some money coming." (laughs) So, I called my publisher and he said, "Oh yeah, it's by some guy named Tupac Shakur." MR: (laughs) Any other sampling of your material? EK: Oh yes. Aretha has done some, and Mary J. Blige, and there's a pretty extensive list of samples--I don't really keep up. Jamie Foxx did one a couple of years ago, and that was a good one because it was really great production, and the one Aretha and Mary J. Blige did was a good one too. Some of them, though, are just kind of different. It's a very different time. People are doing all types of things, and I think it's fun. MR: What did Mary J. and Aretha do? EK: Well, the way they did it, it was called, "Holding On," but the sample was from the third record I did with Bob James, and it's called, "The Sponge." MR: Speaking of your recordings with Bob James, your song "Wes" from Two Of A Kind was a tribute to Wes Montgomery, right? EK: Yes. I never met him, but over the last three or four years, I've had the chance to meet his sons. That's been a great treat for me because they're just wonderful guys. It was great to have that little connection with Wes. MR: What was their reaction to your song? MR: One of my other favorite Klugh/James tracks was "Sandstorm." EK: Oh yeah, that's a good one. You're going all the way back there. That's a good one. MR: Do you remember anything about those sessions? EK: You're just trying your best to put it together every day. The thing about it with Bob and I is that the records went together very quickly because we had done a lot of work on the road--I did a tour before we even did any recording together. I was on a two-week tour on the West Coast, opening up for Bob early in my career. So, after the first three or four nights, we'd get the two bands on the stage and play a few numbers together at the end of the show and the people loved it. We've been friends since then. It was like telepathy was going on at some points. MR: Another of my favorites is your cover of "The Look Of Love." EK: Oh yeah. That's one of my all time favorite songs. MR: If you look fondly back at any album from your Blue Note and Capitol years, which one would that be? EK: That's easy, Finger Paintings. That was the first one when everything just seemed to fall into place. I felt comfortable recording, I was writing well, and it was good. MR: That was the third album, right? MR: What about the Warner Bros. material? EK: Well, I had a good time at Warner Bros., Lenny and Mo were two of the great record men, and they really let me do what I wanted to do. That was a really good time. MR: It was a golden age for Warner Bros.
EK: It really was. You look at everything that was going on there, and it was just incredible. MR: Those guys left such a great, big fingerprint on pop culture. MR: Do you have a favorite album from that era? Mine would be The Journey. EK: Okay. Now, that is one that I really like too. It was a really nice, listenable album. I got a chance to work with one of my favorite arrangers again, Johnny Mandel, who wrote "The Shadow Of Your Smile," "Emily," and all of those. I met him many years back, and we worked together over the years a little bit. He's like a songwriting icon--the last of the classic writers almost. MR: With the wonderful career you've had so far, what advice would you have for new artists? EK: Oh boy. Practice and listen to all kinds of music. Buy whatever books you can find on the business of music so you don't get ripped off. MR: Donald Passman's book is a good one for that. EK: I'm down here in Atlanta, and we had a forum two or three years ago. I was on the panel with Ludacris, and that's exactly where he went--telling everybody that the first thing you have to do is learn the business of music so you're able to keep your recordings. I just found it very interesting that he was so in tune to that because when I was young, I had no idea of that. I was just lucky enough to record the songs that I wrote and still retain at least half of the rights to them. It was very interesting that between the '70s and now, these guys are almost more about the business than they are about the music. EK: It's a good thing in some ways. MR: Yeah, but it's just a little sad in as well. For years, we were telling everyone that the creative element is the most important element, but in this era you'd better know the business end too. MR: Earl, it's been a couple of years since The Spice Of Life. What are you working on now? EK: Well, I'm working on a solo record. I'm working on a track with a superstar that I can't tell you about right now, but we're doing that this week. That's really about it right now with me. Once we get back, we're just going to be touring and recording again. The Spice Of Life was the last one, and we're working on a solo record and I'm also working on a band record at the same time. I have about seven songs that are solid, so I'm wondering if I'm going to keep beating myself up for the last five or six or am I going to infuse some other music into the mix just to kind of round it out. MR: You write your own material for your albums, right? EK: Yeah, most of them--probably around twenty of them--are all my music, and then the other twelve were things like my solo standard albums. On some of the records, I've infused a few other songs, but a lot of my albums are entirely my own music. As I get older, I kind of like to do a mix of my tunes and some other tunes because, frankly, it's really hard to put together an hour of music, whereas it used to be only about forty minutes of music, unless you're on a mission. There have been several albums I've believed in enough that I do the full twelve songs of just my music. But sometimes, it's just good to take a break and take whatever song you believe in and turn it into something that is a little unique, special, and something that people already know. I fool around with that too. MR: Well, I think we've squeezed every bit of information that we can out of you, sir. Thank you for your time and all the best with the new projects. EK: Thank you so much. I've really enjoyed this.